Behold the race bike of America’s most successful cyclocross racer, Katie Compton’s tricked out Trek Boone. Last week, we showed you the very utilitarian race rig of Jonathan Page, arguably the greatest male cyclocross racer the United States has ever produced. 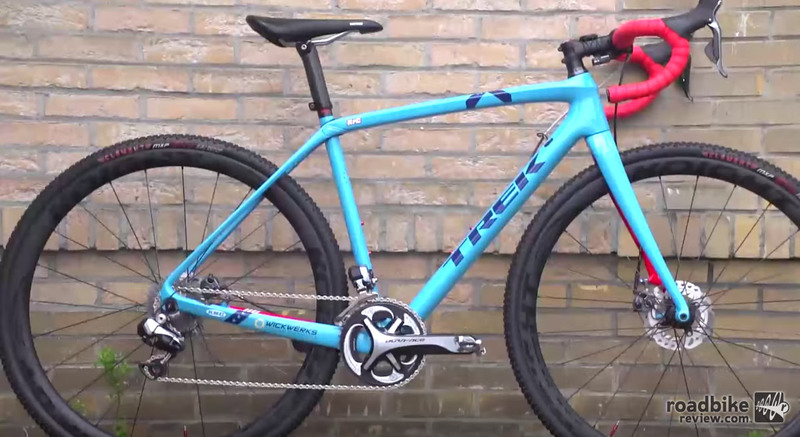 Now it’s time to look at the undeniable greatest U.S. female cyclocross racer’s bike, Katie Compton’s highly customized Trek Boone. Highlights include a Shimano Dura Ace Di2 drivetrain, full Bontrager carbon cockpit, WickWerks 34×44 chainrings, and Knight carbon wheels wrapped with 33mm Clement MXP tires. 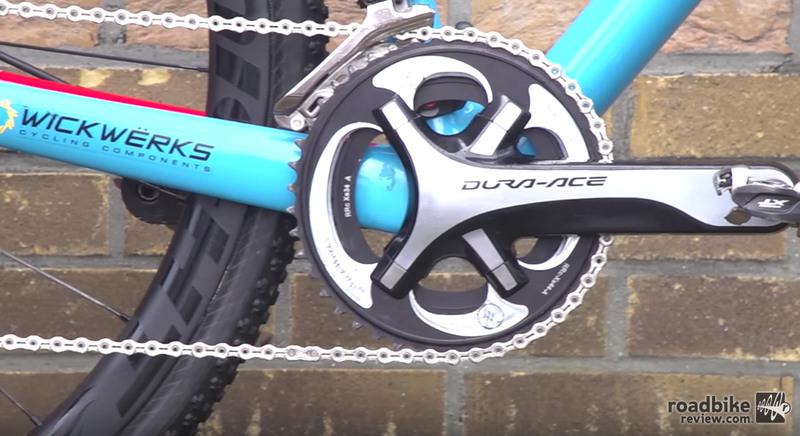 Shimano Dura Ace cranks are mated to WickWerks chainrings. 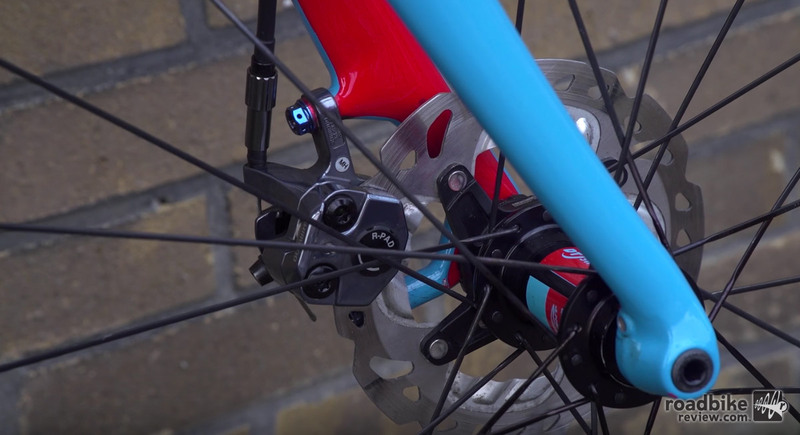 Compton runs mechanical disc brakes instead of hydraulic. 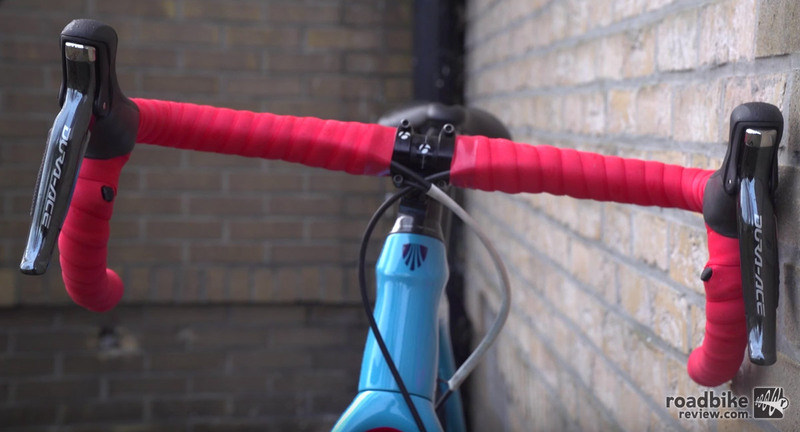 Bar tape goes all the way to the stem with no gap whatsoever. Behold the race bike of America’s most successful cyclocross racer.